Hours: Monday- Saturday 11:00 a.m.-4:30 p.m. Sunday 12:00 p.m.-4:30 p.m. 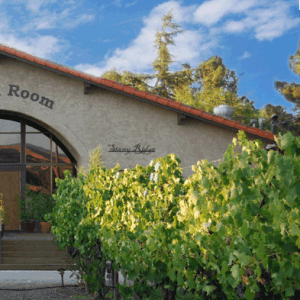 The original Stony Ridge winery was established in 1887 at the historic Ruby Hills site in Pleasanton, California. In 1975, a group of young enthusiastic winemakers leased the current Livermore property and continued Stony Ridge Winery. In 2000, the Vaughn family purchased the winery and expanded creating an additional label, Crooked Vine. In 2007, the Corbett Family purchased Crooked Vine Winery and Stony Ridge Winery. A grape growing family for over twelve years, The Corbett’s wanted to create complete Estate grown wines, controlling the wine making process from fruit to bottle. Through hard work and persistence, they have succeeded, creating world class estate wines that have garnered international and local awards. Tasting Room HoursMonday- Saturday 11:00 a.m.-4:30 p.m.Sunday 12:00 p.m.-4:30 p.m.